Karen writes for a living between shopping for shoes, playing around on Facebook and Pinterest, looking for fun items for Hawkins Manor, and napping, although usually not at the same time. Sometimes, for fun, she takes Instagram pictures of her two rescue dogs, Sadie and Teke, and posts them online. Why I want to be Robin Hood. arrows (and you’d be good at it – VERY good), engage in exciting sword fights (which you’d ALWAYS win), collect gold and beautiful jewelry (FREE! ), AND go glamping with a bunch of merry men (who do all of the cooking and cleaning). Seriously, what’s not to love about being Robin Hood? Which is why my next book, THE PRINCE AND I (available tomorrow! 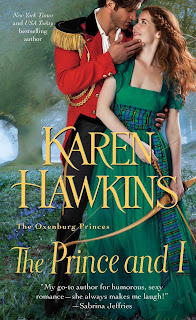 ), is a fun, swashbuckling, Regency Scotland-set retelling of Robin Hood, although … (drum roll, please) … my Robin of the Hood is no other than Maid Murian herself, and she – well, I’ll let you read the book to see the mischief she gets into, especially once she meets dashing, infuriating Prince Max of Oxenburg. Just trust me on this: my fiery, red-haired Murian is no wilting flower. She’s more than willing to fight for those she loves, even when fate makes her difficult path even harder when she meets a green-eyed prince who is far too handsome for his own good. The story of Robin Hood is old, old, old, first mentioned on paper in the 1377. Yes, the story is THAT old. And throughout the years, characters have been added -- Little John, Friar Tuck, and even Maid Marian herself. 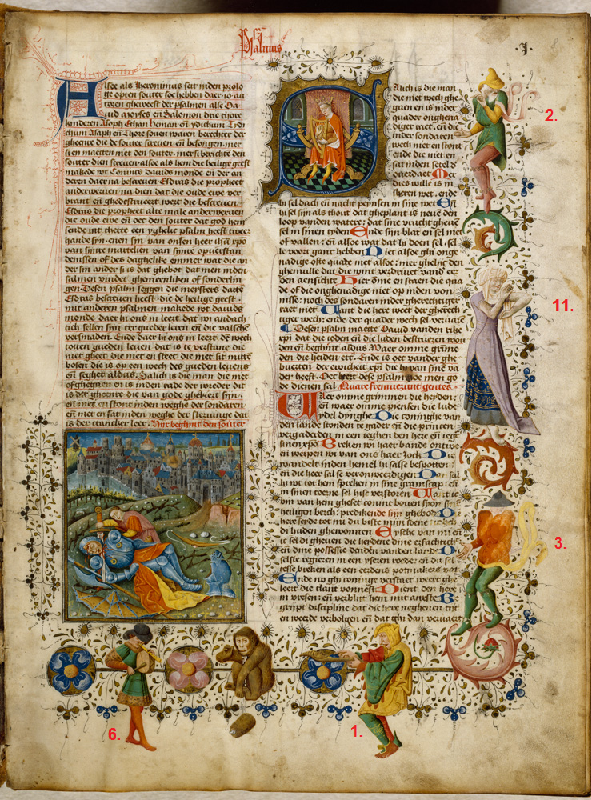 But after the first century or so, the main story has been the same -- a loyal, fierce opponent to a crooked prince, Robin Hood bravely fought for those who had less. In preparing to write this book, I read several old Robin Hood tales and watched a ton of Robin Hood movies including those of Errol Flynn, Kevin Costner, Russell Crowe, Cary Elwes, (and more recently, the one starring Richard Todd), and even the Disney fox-as-Robin-Hood version, and I came to fall in love with the merry auld tale all over again. Robin Hood is the story of independence, and love, of good fighting evil, and of power and responsibility . . . in a word, it’s a story worth retelling. What Robin Hood books or movies have you seen? Which one is your favorite? Karen is giving away two autographed books today. One randomly chosen person leaving a comment will receive a copy of How to Pursue a Princess and a second person will receive The Prince and I.
I have watched a good many of the movies you mentioned. The Disney animated version is one of my favorites and is my oldest daughter's favorite (she is 42). My other daughter likes the Cary Elwes Robin Hood Men In Tights version. It is fun. The darker versions, especially that of Russell Crowe, don't really appeal. For a lighter serious version, Errol Flynn's movie is worth a watch. Your new puppy is a cutie. We currently have 3 rescues. I found another at the animal shelter the other day and it broke my heart not to be able to bring her home. She was found on a porch with 4 puppies. The puppies have gotten old enough and have all been adopted out. She is a lab/border collie mix and just lies there, totally listless. You can almost feel the despair rolling off her. She didn't even move when my husband went into her kennel and dogs always respond to him. She needs some serious love and TLC. Unfortunately, we have a senile Cairn Terrier who barks all the time and two pit bulls - one with a broken back and one who suffered serious abuse before we got her. They are all nice dogs, but I think it is a bit too chaotic for a dog who needs to feel loved and secure. I may go back this week to see how she is doing. I hope the release of THE PRINCE AND I is a big success. Pat, oh the Disney version. I can STILL sing all of those songs. Such a fun movie! Good for you for taking on rescues! I have a few myself, but it sounds like you've taken on some very serious cases. It is because of big hearts like yours that so many unwanted animals have happy homes. I'm so sorry to hear about that poor dog in the pound. I hope a rescue group can find her a foster home and help her cheer up. Poor thing! The Prince and I sounds like my kind of read. It's going on my TRL. Thanks for your post. I love the picture of your puppy. Precious. Two o my favorites are the ones with Errol Flynn & Kevin Costner. Btw, wasn't Alan Rickman WONDERFUL as the Sheriff of Nottingham in the Kevin Costner Robin Hood movie? That voice! And so funny! Robin Hood does conjure up images of daring-do. Who wouldn't want that? I think I have seen every Robin Hood movie made. My new favourite is actually a TV show with Richard Armitage as Guy of Gisborne. Mary, someone else mentioned that series to me and I'm dying to watch it. I'd missed it somehow, but it sounds like my cuppa tea! Congrats on your new book, Karen! Love the twist on having a female Robin Hood, sounds like another fabulous read. I didn't realize there were so many different Robin Hood movies out there since I've only seen the Kevin Costner and Cary Elwes versions. My favorite one is the Kevin Costner one since it featured one of my all-time favorite song "Everything I Do" by Bryan Adams. Hmmm, now I'm going to have that song stuck in my head the whole day, LOL! Looking forward to reading your latest and love following you on FB, especially your Real Life Adventures of a Romance Author featuring Hot Cop! Thank you, Anita!!! I adored that song when it came out, and still love it. It's just such a grand, sweeping song. Oh how FUN that your "Robin Hood" is Maid Marion. I look forward to reading about the trouble she causes. My favorite traditional Robin Hood is the Kevin Costner version. It is full of romance! Cheryl, I also have my heroine in the woods with a band of merry widows, too, just to keep it fun. :) I do love to stir up things. And oh YES, the Kevin Costner version is romantic. It excels in that. I love the costumes in that version, too. They are beautifully done. I have the children's Disney version and Kevin Costner's version. I remember watching a TV show, maybe in the 60's? I liked Maid Marion. I always wanted to live in a castle like her. I liked the song by Bryan Adams too. I don't think I've ever seen the Disney children's version. I did enjoy the Kevin Costner movie. I JUST got a copy of the Disney version which a very kind reader sent to me. It features Richard Todd, which I recognized from another old movie I saw last month. It looks like it'll be a fun version, which I enjoy. And that song by Bryan Adams ... be still my <3! I love Robin Hood! Kevin Costner's and the animation. Can't wait to read The Prince and I! Another vote for the animated version! Hope you enjoy The Prince and I as much as I am, Jennifer! The grandpup is a super spirited pup. He's just one of those dogs that make you laugh. And laugh. And then laugh more. :) Such a bundle of joy! I'm so glad you're enjoying TPAI! It was a tough book for me to write, because there were so many characters, but the end result felt 'right' to me. I love the Errol Flynn version. I do too, Liz. It's my favorites. Errol Flynn's Robin Hood is the most charming of all of the versions I've seen. You just can't not like him. My favorite is the Kevin Costner version too! I am looking forward to The Prince and I because I love the idea of the heroine as "Robin Hood" Your puppy has definitely given me the urge (once again) for a puppy....I love dogs! Aren't puppies the sweetest? I want to snuggle every one I see! OMG, your grand puppy Banksy is adorable, Karen! There was a question, right? It's more a question of if there are any versions of Robin Hood that I have not seen. I first fell in love with Robin watching the Disney version. Fast forward several years and I had fallen in love with my husband when we went to see the Kevin Costner. Glenda, Banksy is a hoot! I promise more photos of him if you're ever on my FB page. He gets into some funny, funny situations! Bube, it really was, but I'd never heard of it until I started researching for this book. They should have advertised it more - I think it would have done better if they'd taken the time to do so. Congrats on the new grandpuppy. I'm sure I must have seen the Disney cartoon at some point, but I enjoyed the Errol Flynn version of Robin Hood. I also watch the TV show, Once Upon a Time and Robin Hood appears in it. I tried a little of Sean Connery's movie, but I prefer a more youthful Robin Hood. Kim, I've been watching Once Upon A Time, too! Such a fun, complex show. I love it. Why did you pick Robin Hood? Thank you. He's such fun! Robin Hood with Errol Flynn and Olivia de Haviland was my first favorite. 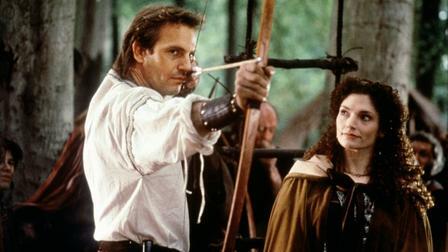 Next came Robin Hood with Kevin Costner and his hysterical villain Alan Rickman. Now I'm looking forward to your twist on the classic, Karen! Didn't Alan Rickman add so much to the Costner version? Loooove Rickman. That VOICE! I hope you enjoy The Prince and I! It was a challenge to write, but fun, too. Aw. I'm so sorry to hear that. But I'm glad you got custody of the cats, at least. I need to see the Sean Connery version. I missed that one, somehow. My big brother and I watched Richard Todd as Robin Hood on TV back in the dark ages. Loved that show. I even remember the theme song. My favorite Sheriff of Nottingham has to be Alan Rickman. Lord, he was funny! Looking forward to reading your book, Karen. Rickman was HYSTERICAL. Remember the spoon comment? My dh, Hot Cop, still quotes that scene. My husband, ex-fed, quotes that too. Oh, and I screwed up. The TV show starred Richard Greene, not Richard Todd. Help. I'm shedding brain cells. Hmmm. I need to look that one up. You can't have too much Robin Hood. I've tried! I've ordered your new Robin Hood book. I couldn't resist a merry band of female thieves. I've seen Errol Flynn and Kevin Costner. Each is great in its own way. CJ, I hope you enjoy The Prince and I! I enjoy writing women who make things happen. They've been around since the beginning of time, but often didn't wish people to know what they were doing. Within the Regency period alone, which is where most of my research has been focused, I've found women who were scientists, brewers, artists, cryptographers, lawyers -- many times using their husbands' names to protect them from censure. Such interesting women! I've seen the Flynn, Costner, Crowe and Disney versions. Flynn's is the best. Congrats on your new book; sounds great. Thank you, LSUreader! I don't know how I'd missed the Crowe version. A lot of people have seen it. Show with Richard Greene , a British actor, was back in the 50's in black and white, of course. Loved it. But, my favorite (and I've loved them all!) remains Errol Flynn. I need to find the Richard Greene version. I haven't seen that one! Thank you, Pompie! :) I hope you enjoy it. The theme song from the Kevin Costner movie (sung by Bryan Adams) was our wedding song, but I like most of the movie versions. Denise, that is SUCH A beautiful song. One of my favorites, too! I love Errol Flynn's Robin Hood. I first saw this when I was around 8 yrs old. Every year on Sunday, Frasier Thomas would sit down with the book and introduce us to the classics. I loved that version so much I have it on DVD. I can watch it whenever I want. Now I never thought I would like another version but my son wanted to go see the one with Kevin Costner. After that he would go around the house swinging his plastic bat. So that version was next in my collection. To think he'll be 31 on Friday. I should call & ask if he remembers this. Sighs. Lol! 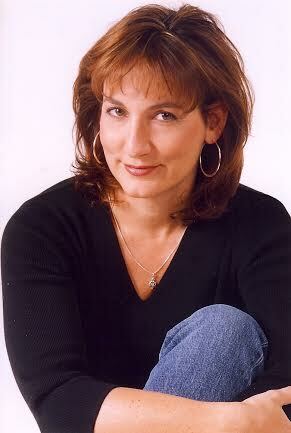 Pamela, I can never remember the ages of my kiddos without thinking it through, either. To me, they'll be forever 5 and 8, running up and down the stairs playing pirate. Of course, had they seen more Robin Hood movies, I think they would have played that, too. I have to say, like you, I think Errol Flynn's version is the best. For some reason, it's just much more romantic. My favorite Robin Hood movie is the one with Errol Flynn. There's a reason it's considered a 'classic.' It's just timeless. Chelsea, I'll have to look that up. And I looooooove Once Upon a Time! SUCH a great series. They take a familiar story and change it into something new, but still familiar. I love that! Robin Hood, Men in Tights has been a favorite in my house. I also love the Errol Flynn version. Your grand puppy is adorable!! Robin Hood, Men in Tights is hysterical! It's a favorite in my family too. I love Men In Tights, too -- so funny! Cary Elwes is a gifted comedian. Hi Karen!! Love the story of Robin Hood, very much looking forward to seeing how your Maid Murian takes on Prince Max!! I have to admit, as much as I love the Kevin Costner version, I always remember Men In Tights more lol The entire hilarious take on the story just makes it all the more enjoyable. Ada, I hope you enjoy it! :) Men in Tights just has so many great scenes -- and it's so quotable, too! Definitely the Kevin Costner version :) But Men in Tights is a close second :) thanks for sharing and congrats on the new release! Karen, thanks so much for hanging out with us today. I'm still in the forest with Murian and Max and loving every minute of their story! Thank you, PJ! I loved every minute of it. :) Enoy your visit to the forest with Murian and Max. And watch out for Tata Natasha! Until Kevin Costner, I loved Errol Flynn and Men in Tights.. I love that the Costner and Flynn versions sort of mirror their personalities. The same story, but yet very different in tone. My favorite is the Kevin Costner version. I am looking forward to reading The Prince and I. Thank you for the opportunity to win.